Unlock Samsung Galaxy S8 Plus - Safe IMEI Unlocking Codes for You! 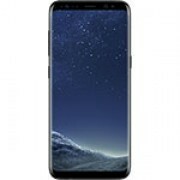 Unlock Samsung Galaxy S8 Plus Handset! In case your Galaxy S8 Plus doesn't ask for the code and there is no designated field to enter it, please DON'T PLACE ANY ORDER, contact us first for support. Are you looking to unlock your Samsung Galaxy S8 Plus? If yes, please use our easy to follow process! There are NO technical skills required, just follow the instructions we send to you and the phone will be unlocked in less than 2 minutes! Our codes also works for the latest models like, S9+, J2 PRO 2018 , Galaxy S8, Galaxy Note 8, Galaxy A5, A7, Z4, Galaxy AMP Prime, Galaxy J7 and many more! We are able to generate the codes for the most GSM Carriers including Cricket, At&t, T-Mobile, MetroPCS, Rogers, Fido, Bell, Telus, Koodo, Virgin, Vodafone, Orange, EE, O2 and many more. Note: For latest devices from MteroPCS and T-Mobile USA, the unlocking is via device unlock app so no codes are generated. Before placing an order for an unlock code please make sure you send us the correct information of your Samsung Galaxy S8 Plus! 1. Send us the correct IMEI. (Find the IMEI by dialing *#06# on your phone. The IMEI is a 15 digit number. 2. Select the original country and operator of your device and NOT the one you wish to use after unlocking! If you place an order with wrong details we will not be able to issue a refund. Note: Please remember that orders can't be canceled after submitting it and has begun processing! How to Unlock Samsung Galaxy S8 Plus Phone - Tutorial! 3. Receive on your email the code, follow the instructions and use it. Insert another SIM card and wait for your phone to read “Enter unlock code” or “Pin Network Unlock Code”. Insert the NCK code and your phone will be unlocked. For any further assitance just please contact our support team. Sorry Ashley, but we can help you this time. Hello Catherine! Unfortunately we can t help you this time. Sorry! I have a galaxy s7+ and the phone is locked due to the previous owners unpaid balance. Can't contact the owner. Will you be able to unlock it? Hi! Do you know the network in which it is locked? Hello. Not sure how to find out on which carrier the phone is locked. Can you please help? Hello. Not much options here, you need to ask the previous owner. I am traveling to asia next month and ask if ATT can unlock my phone so I can use the sim of that country but ATT said no cause I still owe money on the monthly payment plan. Will you be able to unlock my phone so I can use the forein sim card while I am there. Hi! I bought this phone which supposed to be unlocked and it seems it is not. I have a verizon network and the phone is sprint. I did put my verizon sim card in put still cannot use. Is there a way to unlock this phone? I wondered if you csn provide code for my Samsung Galaxy S8 Plus mobile phone from Romania cosmote? Hi Ron. Yes, the unlock codes are available, just please use our order form to get all the details or email us. Thank you!